If the Audi Q5 is not looking in showroom gleaming condition that is because it has been doing what its designed to do. 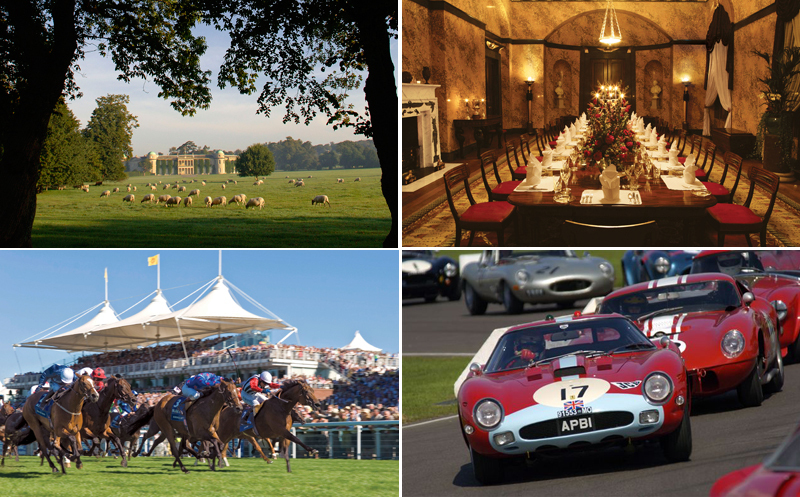 In this case it has been driven around the country lanes of the South Downs to visit some of the wonderful shooting country for which the Cowdray Estate is renowned, including the famous ’chalk-pits’ drive at Cocking. 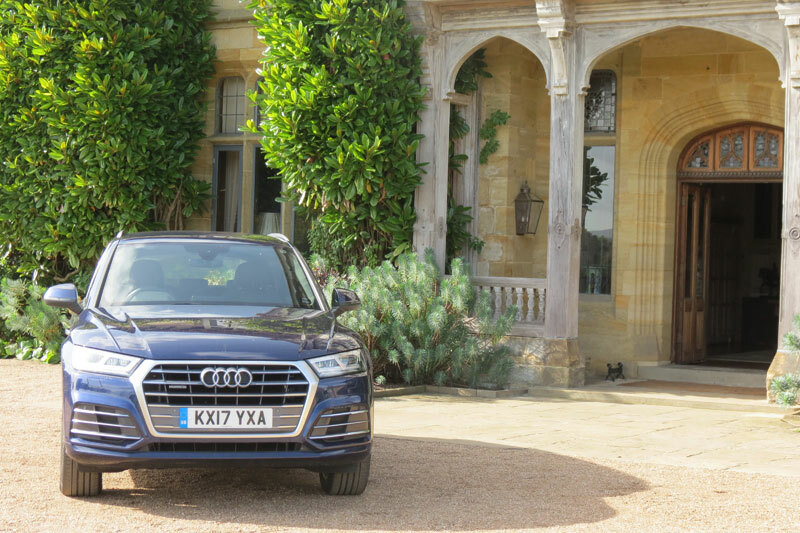 Be assured that the Navarra Blue paintwork with black leather Alcantara sport front seats is a very pleasing combination, in fact the Audi Q5 delivers on the ‘looks front’ in abundance. Audi have combined clean elegant lines on this 2017 model, having made it slightly larger than the previous version and added more technology – there’s a head up display, adaptive LED headlamps and the Virtual Cockpit. However, larger doesn’t mean heavier – in reality due to the use of aluminium throughout the body work this Audi Q5 is 90 kgs lighter resulting in better performance, braking, handling and efficiency. Better efficiency by way of fuel consumption and lower CO2 has been achieved by their latest development of the company’s famous all-wheel-drive system. It works by allowing the engine to drive just the front wheels most of the time. When the extra grip from all-wheel drive is needed due to changing conditions, power is sent to the rear wheels via two clutches – one mounted to the car’s gearbox, the other to the rear axle. This takes only 200 milliseconds for power to flow to the rear and shift the engine’s torque between all four wheels to keep you pointing in a straight line. 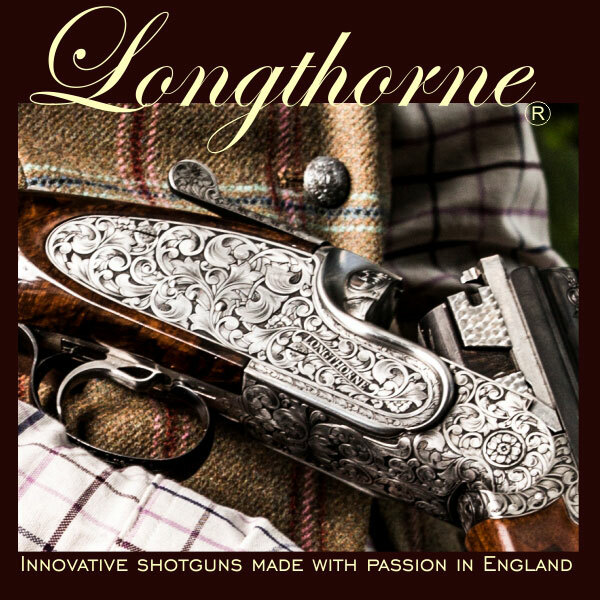 Not only does this help improve fuel economy but it helps reduce unnecessary wear and tear on the engine and gearbox. 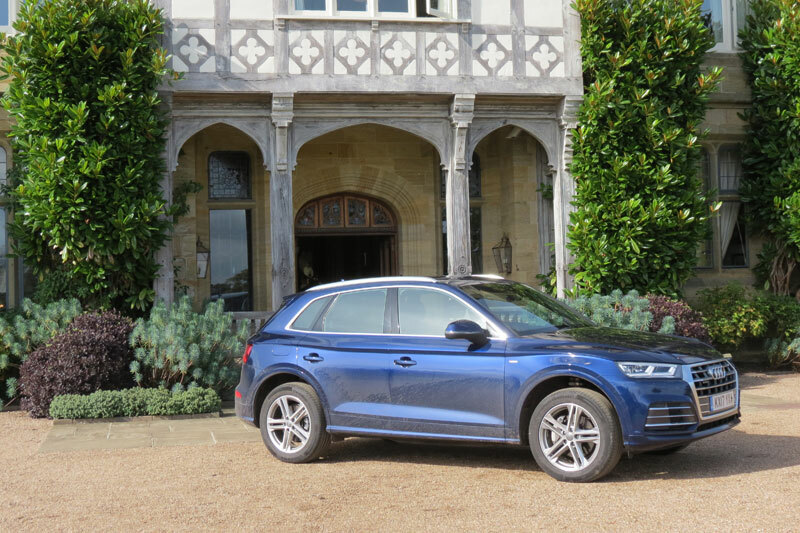 So all this is good for everyday driving but as mentioned earlier, we put the Audi Q5 through its paces off road and the efficiency and comfort was improved by engaging the optional air suspension which allows you to raise the ride height. These new technologies seem to have worked as the 2017 Audi Q5’s combined MPG is officially up by 16%, while CO2 emissions are down by 15% – all this and better acceleration to boot. Having driven many Audis it is reassuring to find the Multi Media Interface (MMI) is very much the same across all models although with added sophistication on the higher spec cars. 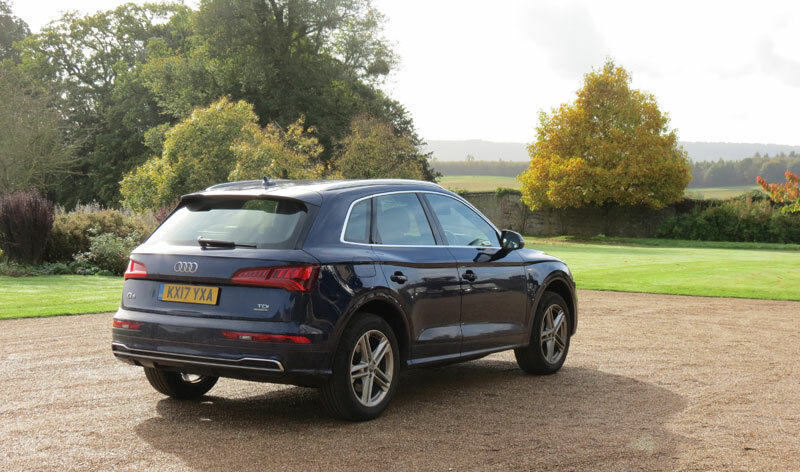 On this Q5 there is a large central screen with a controller on the central console and a control pad with adorning buttons enabling easy navigation through the myriad systems – definitely need to read the owner’s handbook to discover all its functions! On a practical point the front of the Q5 feels impressively spacious with plenty of space for those items we all travel with – phones, keys, wallets, handbags and water bottles and the seating position in front provides acres of space if you’re tall and room for two lofty people in the back with plenty of head room – in fact three can sit very comfortably there. 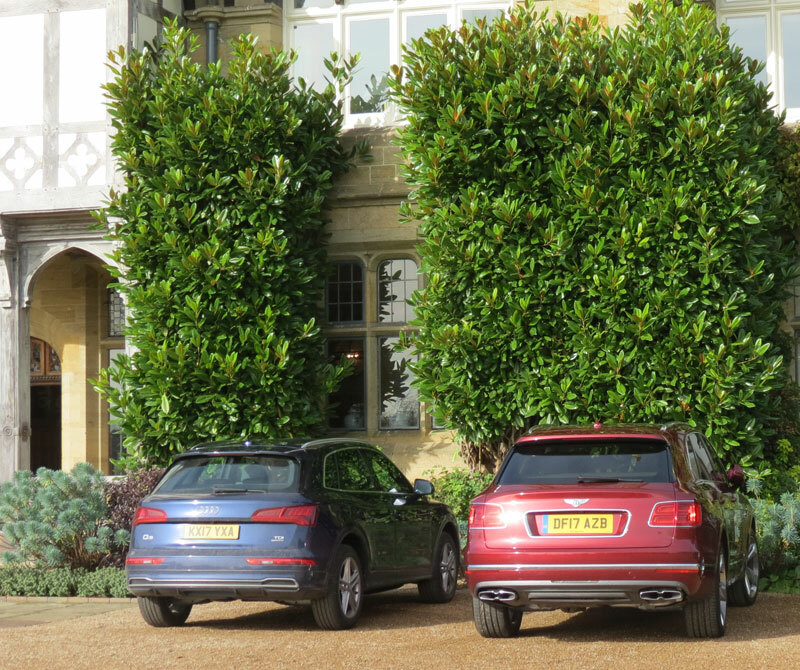 To the boot – as a family car the boot provides plenty of space for three offsprings and/or for the golf clubs and when needed the boot space can be extended further by folding the rear seats to increase the loading area to an impressive 1550 litres. Loading large items is made easy thanks to a power-operated tailgate fitted as standard. We have driven many of the Audi range of cars and have yet to be disappointed. This Audi Q5 with the 2.0 TDI Quattro 190 PS S line S Tronic spec comes in at £45,000 but whilst it may only cost a quarter of the price of a Bentley Bentayga, it is certainly not 75% less of a car.